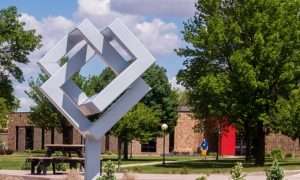 Northwest Iowa Community College is starting its first ever collegiate sports team — a Sports Shooting team. Beginning in the spring of 2019 twelve students have started to practice and are eagerly awaiting the start to their competitive season. NCC will have an unlimited roster, but plans to take the students with the top 5 shooting scores to the Iowa State Trap Collegiate Championships in Ackley, Iowa at the end of April. NCC will compete in the Iowa Community College Athletic Conference (ICCAC) and are a Scholastic Clay Target Program (SCTP). NCC officials will be part of the scheduling meeting for the ICCAC this summer to schedule head-to-head competitions for next year. Typically, the ICCAC schedules a fall season (September, October, and November) and a spring season (March, April). 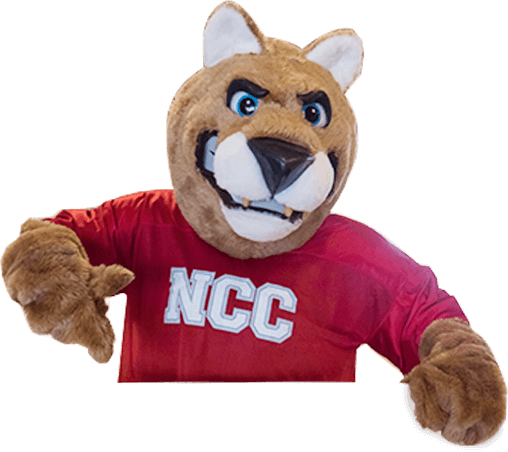 NCC plans to compete in a highly competitive schedule against collegiate shooters from ICCAC, NJCAA, NCAA, and NAIA schools. Safety is very important to NCC staff and faculty and it is taken very seriously with the participants of the Sports Shooting team. All the athletes are required to attend a safety meeting before they participate in any practices. Students are instructed on best practices for proper gun handling and loading and follow all SCTP rules and regulations. For instance, all guns are to be unloaded and open whenever athletes are not in the act of calling for a target. They are also instructed on what to do in cases of malfunctions etc. NCC has a secure offsite location to store students’ firearms. The campus’ “no weapons” policy continues to be in effect. Sports Shooting is the fastest growing sport in the state of Iowa — in the nation, in fact. Locally, our high school sports shooting teams are growing by leaps and bounds. Just last year, high school teams in the northwest quadrant of Iowa had 447 participants (north of Highway 20, West of I-35). There are at least 5 registered high school sports shooting teams within NCC’s 4 ½ county area of service. In addition to the research NCC employees conducted, a handful of current NCC students came forward last fall and specifically asked if NCC would start a sports shooting team. The students were important members of the committee, who also included other outside experts, who ultimately helped NCC employees research the feasibility of starting a team. The students have also been enthusiastic recruiters for NCC’s first team/first season. One of the students involved in the planning committee was the 2018 Iowa High School State Trapshoot champion (Evan Ingalls, Algona). NCC is currently recruiting students for the 2019-2020 Sport Shooting season. Coach Lauck said, “We are interested in talking with high school students who were active in their high school sports shooting team and are interested in continuing to compete while furthering their education. At this time there are not scholarships available, but the participants’ ammo, targets, and range fees are paid by the College — so many of them perceive this as almost like a scholarship. If you are interested in joining the fastest growing sport in the nation, with over 3,000+ sports shooting participants just in the state of Iowa, consider NCC’s Sports Shooting Team. For more information contact Brian Lauck, Head Sports Shooting Coach at nccsportshooting@nwicc.edu. Brian Lauck started as Northwest Iowa Community College’s Collegiate Sports Shooting Coach in March 2019. Lauck founded Cherokee County Youth Shooting Sports in 2014 and has served as their head coach for the past 5 years. Lauck is the Youth Coordinator for Cherokee County Pheasants Forever, a Hunter Education instructor, NRA certified Shotgun Coach and 4H Rifle Coach. He is also an experienced gunsmith and gunfitter.